Can Javed and Aradhana still be together? Or will destiny take its course Will true love prevail? 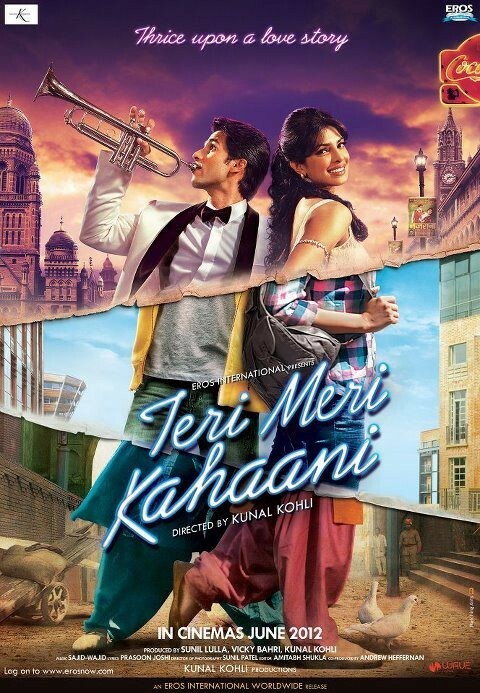 The story starts in 1960 Bombay with Govind and Ruksar, then moves ahead to present times, 2012 England with Radha and Krish and then goes back in time to Punjab, 1910 with Aradhana and Javed. Will Ruksar realize that Govind’s feeling for her were genuine? This story takes us through a journey of eternal love between a couple who have vowed to love each other not only in this life but in every life to follow. Will Krish be able to clear the misunderstandings? Can we truly love one person throughout our life and hope that fate makes us meet with the same person in every life of ours? Their love is so strong that even destiny wants to bring them together. Zoya is a twenty something, boisterous girl from an affluent political family. Zoya can be very impulsive but is not immature and is someone who can be very practical but at the same time stands for what her heart believes in She’s courageous but not rash. The only girl in the all-male joint-family, she is extremely pampered but yet not spoilt. Living in Almore, a small town in India, she dreams of becoming a MLA, like a child dreams for a toy. Parma loves to flex his family name and power. He idolizes his grandfather, the patriarchal head of the family. Parma is a twenty two year old, immature, short tempered bully. A goof ball that Parma is, his only real ambition in life is to prove himself worthy to his grandfather. How far will he go to achieve this To make his grandfather win the next elections is the primary aim of his life. One throne. Two wild animals… unpredictable Parma… ferocious Zoya. Living in Almore, a small town in India, she dreams of becoming a MLA, like a child dreams for a toy. One kingdom. Born to hate. She’s courageous but not rash. Destined to love. A story about love brewing in a small town burning with hatred. Rising from the ashes of hooliganism and small town clan wars, comes the love story of a passion ignited by hatred. oya is a twenty something, boisterous girl from an affluent political family. A story… about two fiery bloods played by Arjun Kapoor and Parineeti Chopra, and their fight for power and supremacy. 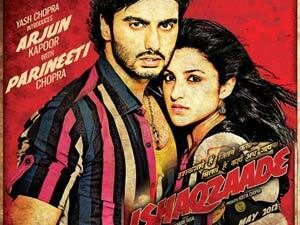 A story called ISHAQZAADE A battle… deafened by sounds of hate, revenge, bullets and deceit. Zoya can be very impulsive but is not immature and is someone who can be very practical but at the same time stands for what her heart believes in. The only girl in the all-male joint-family, she is extremely pampered but yet not spoilt. Of two people.